Have you ever come across people who made everything perfect at work Too much perfectionism at work will slowly kill you, but just the right amount of it is...perfect. These perfectionists in the workplace may seem weird to some people but others will find them... ...prefect. Especially when it results in a meticulously stacked pile of carrots in a supermarket, nicely stack of spices that look like cone to perfectly arrange of alcohol in a bar. You might be wondering if you're in an art gallery! A bunch of satisfying photos of perfectionism at work. 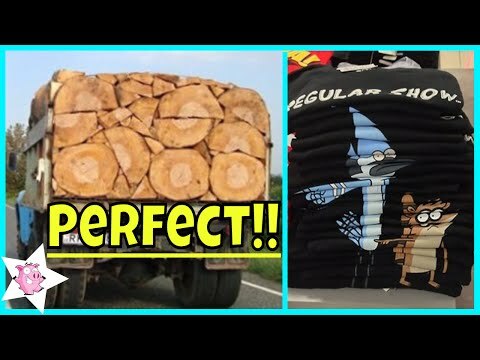 If your inner perfectionist is feeling naughty then you are at the right place to see the best oddly satisfying photos from these perfectionists at work who definitely deserve a raise!